Justice League Dark has been having a bit of a hard time getting off the ground. Once set to be directed by Guillermo del Toro, the project eventually fell into Doug Liman’s lap, at which point, it looked like things were good to go. However, the Edge of Tomorrow helmer shocked us all just this week when he announced that he’d be walking from the film, citing scheduling conflicts as the reason for his departure. Currently, Warner Bros. has yet to find a replacement, but from what we understand, the studio is aggressively searching for someone to fill the director’s chair and whoever they bring on board will “play a major role in the new” DC Cinematic Universe. As of yet, there’s no word on who may be emerging as the frontrunner, but THR notes that IT director Andy Muschietti is high on the list, along with several others. He’d be a good choice, too, as he’s shown a knack for creating dark, supernatural thrillers, and the aforementioned Stephen King adaptation has a ton of positive buzz surrounding it at the moment. But again, he’s not the only one being eyed and if the guys on the Meet The Movie Press podcast are to be believed, Damian Szifron is also in the running for the gig. Relatively new on the scene, at least as far as feature films go, the director gained some momentum with Wild Tales back in 2014, picking up an Oscar nod for Best Foreign Language Film in the process, but hasn’t really done much since. He’s produced some notable television work, though, creating Argentine series Los Simuladores (The Pretenders). Admittedly, Szifron does seem like a bit of an outside the box choice, but that doesn’t necessarily mean he wouldn’t do a good job and we’d be curious to see what he can bring to the project. Whether he gets the gig or not remains to be seen, but it doesn’t sound like we’ll have to wait too much longer for the studio to find their replacement. 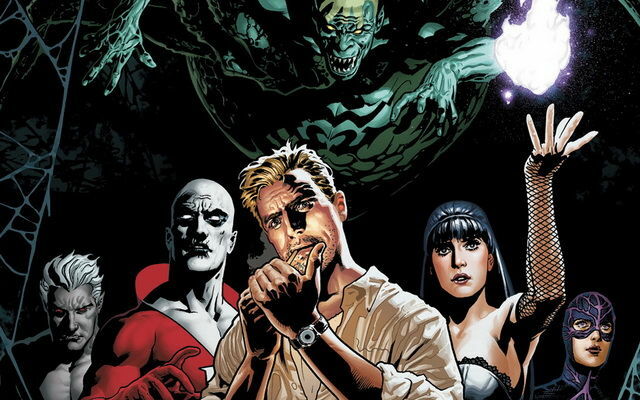 We’ll let you know as soon as they’ve made their decision, but in the meantime, take to the comments section down below and let us know who you’d like to see get behind the camera for Justice League Dark.